10 Adult 70th Birthday - Gold party hats SIZE 4.5 inches tall and 3 inches in diameter at the base. The included elastic chin straps measure 12 inches long. 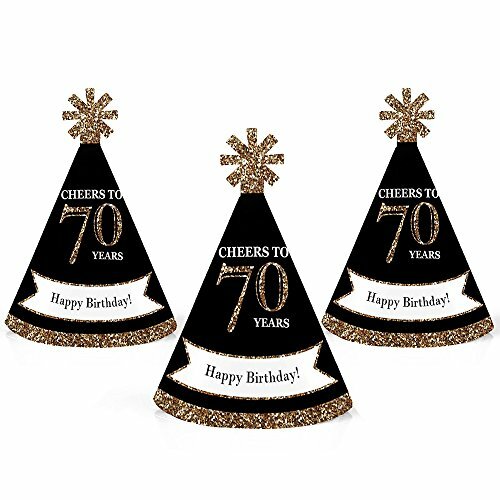 These cute seventy birthday party accessories feature a unique star cut-out decoration at the top and the printed saying "Happy Birthday! ".